Get your free flood insurance quote from RC Cook Insurance. Call 330-296-3628 for more information. We're located in Ravenna, OH. Contact RC Cook Insurance and receive a thorough education on how flood insurance works in Ravenna. We will review what it covers (appliances and items inside the home) and what it does not (decks and items outside the home). Ravenna Flood insurance protection is meaningless after a flood. Plus, every flood insurance policy carries a 30 day waiting period before it can take effect. So act now! 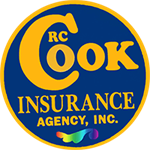 At RC Cook Insurance we have insured the residents and business of Ravenna from flooding since 1960. It is one of the specialties of our agency. We will make sure we share all of our knowledge with you. When you can minimize risk from flooding for such a small cost, you have to do it. You have to protect your family and your assets. Complete the Protection Savings Form today for a free quote. The flood insurance veterans at RC Cook Insurance will forever ease your fears of flooding.